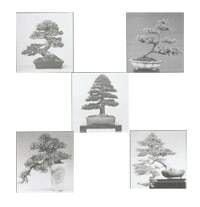 There are 5 basic styles of Japanese bonsai that are the basis of all the other more advanced styles. Understanding what they are and how they relate to one another, can give you a much better direction when training your own trees or attempting a much more advanced style. Training a tree in a pot to become a bonsai rather than just a pot plant in a bonsai pot, topiary (English style of tree shaping), or some pretty garden art, comes down to whether you can categories it within a particular style recognised in this art. Just like other art forms (painting for example), there are several styles or categories that they are judged by, or are recognised to be from a particular style. Oil painting, water colour, crayon, are all types of material that might be used in a particular style of painting, and a category might be abstract, realism or pop art. For bonsai the materials used might be tree varieties like fig, juniper or maple, and the style informal, slanting or windswept. Each style has basic guidelines that help place it in this category, and then for it to be true to that style will need to have other characteristics that will define its quality as a bonsai. A tree that is as close to perfect as nature will allow. The formal upright when compared to a tree you might see in its natural form could be a giant pine, or other majestic old tree growing out in the middle of a paddock that has had even environmental conditions all year round, and not had to fight for the light with other trees nearby, it will be bolt upright from ground to apex, the balance of environmental factors throughout it’s growing cycle will allow it to have an even taper from its thick heavy trunk, to its symmetrically formed tip, and evenly spaced alternate branches over the length of the tree. This style is difficult to replicate due to its need for almost un-natural balance, but a bonsai trained well in this style is a highly recognised piece of art! The informal upright style is a more relaxed version of the formal upright, but still needs close attention to a lot of the guidelines of the formal. 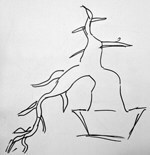 This style is most commonly used when learning how to bonsai. 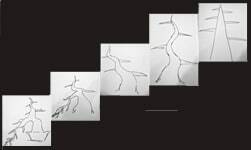 The trunk taper from roots to tip still needs to be even, the branches spread evenly along the length of the tree and decrease in distance apart as they get closer to the apex. 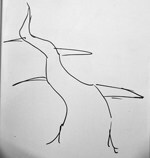 The main difference in this style is the flow and shape of the trunk. 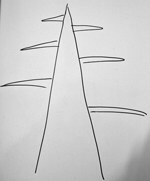 The trunk needs to form an “S” shape from the base to the tip, with the bends having a natural flow beginning wide at the base and narrowing as they reach the tip. Too many bends or sharp, flat angles will look out of place and un-natural, and the placement of the branches now needs to be considered, as they need to be on the outside of a curves. The side of a hill or on a river bank where erosion or strong winds from one particular direction, has caused these trees to no longer have the apex directly above the centre of the trunk of the tree, or a smaller tree that has had to angle itself as it grows to compete with a larger tree to get to the light. 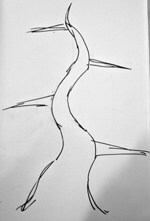 The curves and flow should be the same as that of an informal style tree, but the trunk should now lean at an angle anywhere from 60 to 80 degrees. This angle is a large area to work within, and the size of the tree and its branch placement give it the look of strength rather than a tree that is about to fall over. Once the angle of a tree reaches more than 60 degrees it begins to fall within the style of Semi cascade, a tree on the side of a cliff that has the weight of its branches, ice, snow and gravity over the years have begun to drag one of the main branches towards the earth. In a bonsai pot this branch is positioned just below the rim of the pot, but the main crown will still be above the rim and be a combination of the slanting and informal styles. The idea is not to have the branch coming from the pot overly heavy compared to the rest of the tree, or will look like the tree is trying to escape from the pot rather than look natural. A tree growing out of a crevice on a high cliff face, dragged towards earth by gravity and the weight of snow and ice in the winter, is the visual I use to explain this style of bonsai. This tree still has an “S” shaped trunk, the branches are still alternating and spread evenly along the length of the trunk, the main difference is this trunk is growing downward below the base of the pot. This style is now at the complete opposite end of the formal style that stands so tall and rigged, now to this style that is although still strong and resilient, has had to survive growing away from the sun under some pretty harsh conditions. The patterns found in nature is what inspires these five styles of bonsai and differentiates them from each other. Beginning with a basic style and adding multiple trees to create a forest or re arranging the branch direction to face a similar way to imitate branches blowing in a strong wind, (windswept style) all can be derived from one of these 5 basic styles of Japanese bonsai. 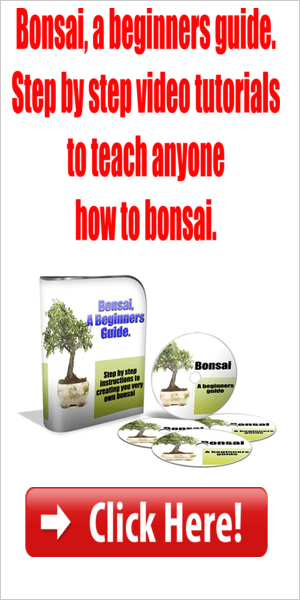 If you are just starting to learn how to bonsai use these guidelines when training your new trees and you will find you can create better quality trees much sooner! Thanks a lot for that info. It’s really help.